I like to read beading maginzes in my spare time, which is not very often. They always have jewellery designs that you can try and make yourself and some of the designs are truly amazing. 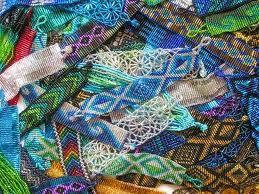 I'm always looking for my next project to work on, at the moment, I'm fascinated by bead weaving. If your not sure about what beadweaving is, it's creating jewellery, using small seed beads, small beads, thread or nylon cord. I'm hoping to go to a beadclub not far from where I live, after Easter. In the mean time I thought I'd try a to make a bracelet, using seed beads and pearls, I'm not ready for the tiny seed beads projects like the ones above yet. 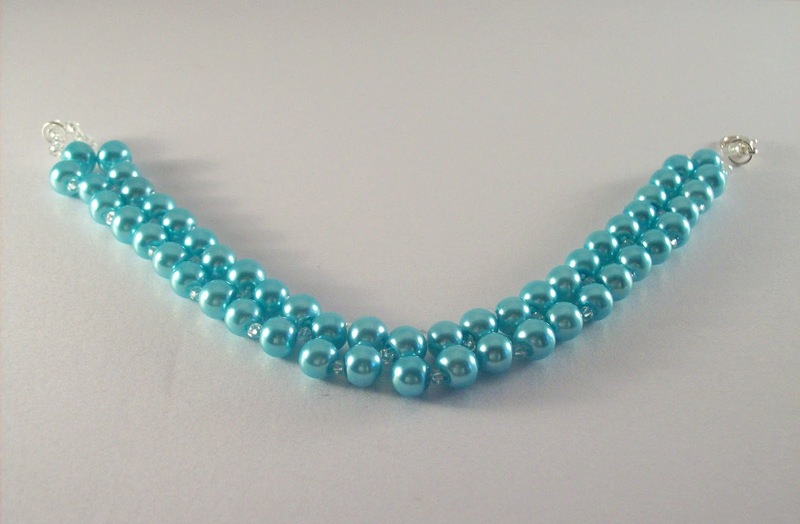 It's made with pale blue 6 mm glass pearl beads, clear seed beads, which you can see inbetween the pearls and on the ends. A clear illusion cord was used for the weaving. It took me roughly about an hour to make, it was a bit fiddly to get the hang of the pattern, sequence and tiny beads at first, but ok afterwards. Hoping to make something else soon, maybe a pair of earrings, you'll have to wait and see. What new projects have you started recently and did it turn out how you thought it would? That's lovely Michelle - I wouldn't have a clue where to start and as for those tiny little beads, they would be an accident waiting to happen!